The history of the creation of the only theme park Walt Disney ever saw. 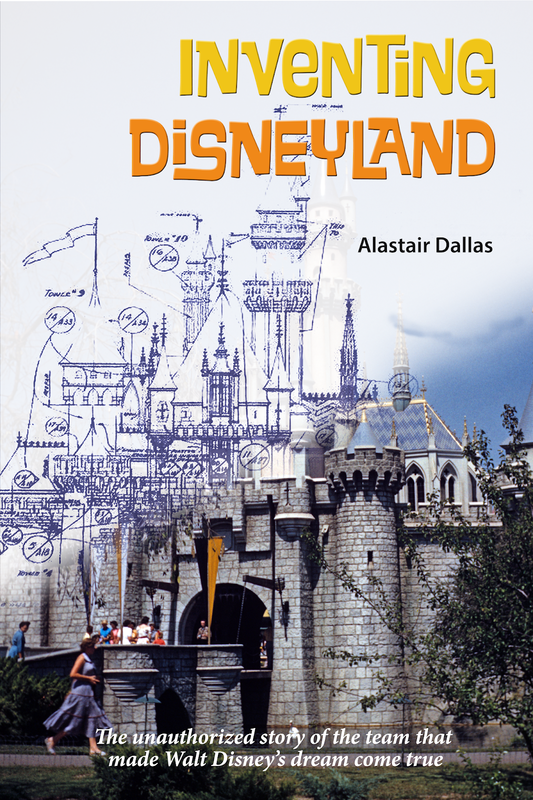 I was just informed that my book about the creation of Disneyland California, Inventing Disneyland, is now available, just in time for Christmas. It's the (I hope) entertaining story of all the people not named Walt Disney who worked so hard to make this singular place a reality. Walt shows up in the story, too, of course. This is the result of years of research and interviews with the principals, organized as a chronological journal to let you experience the process as it unfolded. 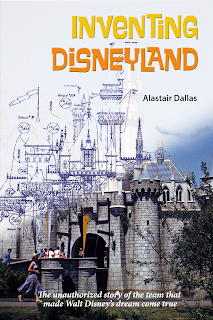 When I worked for WED Enterprises (now Walt Disney Imagineering) many years ago, I studied the original plans for Disneyland (some of which are available on the internet) in my spare time. I was lucky enough to be able to chat with Disney Legends like Herb Ryman, Sam McKim, and Bill Martin--and they were extremely generous (with everyone) with their time. Others, like C. V. Wood, Jr., I had to track down. One thing missing from Disneyland books, in general, is a sense of context. What was happening in the world as Disneyland was built? What was Roy Disney reading about in his morning newspaper just before New York called to discuss a weekly television show? Some, not all, condensed stories make it all seem inevitable, that of course the Magic Kingdom must have a castle at the center. 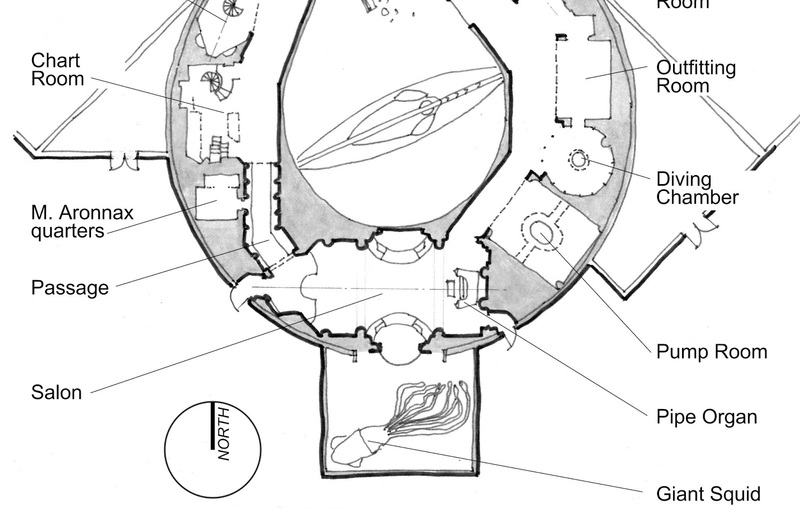 To focus on that one choice: A castle is a defensive perimeter. 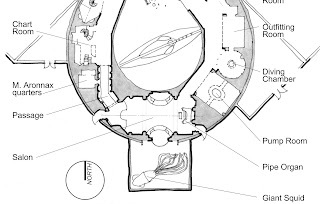 Putting it at the center inverts the principle to delightful end. But this isn't a castle at all, it's...well, you can read more here. I illustrated the book with drawings like this, because Disney has been litigious in the past. If I had a photographic memory (which I don't), the blueprints for Disneyland are still, 63 years later, copyright by Disney. So, I explain things graphically using all new drawings based on generally-available information. The book is simultaneously available on Amazon and as an e-book, thanks to my editor, Bob McLain of Theme Park Press. Original imagineer Bruce Bushman has not been recognized by the Walt Disney Company as a "Legend," and that's an omission—he had a tremendous influence on the design of Disneyland. Bruce was born in New Jersey on April 20, 1911, the son of film star Francis X. Bushman and his first wife, Josephine Fladune. He and his brothers and sisters were raised in Baltimore by their mother. Josephine moved to Santa Monica, California in the late 1920s and Bruce followed around 1931. He attended UCLA and the Chouinard Art Institute and made his living as an artist before joining Walt Disney Productions in the late 1930s. Bruce was a layout artist on Pinocchio (1940), co-art directed the Nutcracker Suite sequence in Fantasia (1940), and laid out many short cartoons. His first screen credit was on the short First Aiders (1944), and he contributed to the classic short Pigs is Pigs (1954). "I think I can... I think I can..." The Little Engine That Could is one of the most popular children's stories of all time. The version published in 1930 as the work of Watty Piper (a pseudonym for publisher Arnold Monk) retold an older tale emphasizing the value of positive thinking. The "Story of the Engine That Thought It Could" appeared in the New York Tribune on April 8, 1906, as part of a sermon by Reverend Charles Wing. When Disney's artists made a film version of Helen Aberson and Harold Pearl's 1939 story, Dumbo the Flying Elephant, details of the train that transported the circus from venue to venue needed inventing. Disney historian Jim Korkis wrote about the original book in 2004, and made no mention of an anthropomorphized locomotive. For the film, the undersized engine pulling cars full of elephants and other wild animals took on characteristics of the famous Little Engine That Could. Adventureland, squeezed into the plan for Disneyland at the last minute, so to speak, was largely the work of art director Harper Goff. Focused on his river ride, he created a little outpost of civilization at the jungle's edge without worrying which continent he was representing. To reproduce the ambiance of the third world--bustling trading towns from to Leticia to Timbuktu--Goff led with exotic merchandise and used a lot of thatch. The river ride was inspired by the film The African Queen (1951), set in the Belgian Congo in Equatorial Africa, but that continent's rich design history was not yet in vogue. Goff's simple market street of one and two-story shops has been extensively remodeled over the years, partly to include more African art in the mix.